A CUNNING Donald Trump could "back the Democrats into a corner" by using their midterm elections win to his own advantage, former British prime minister Tony Blair warns. The former British Labour leader took centre stage at the Web Summit in Portugal's capital Lisbon last night where the implications of the elections dominated his agenda. Mr Blair - who often spoke of the "special relationship" between the US and UK during his prime ministership - told the Lisbon audience overnight the US President was "divisive". 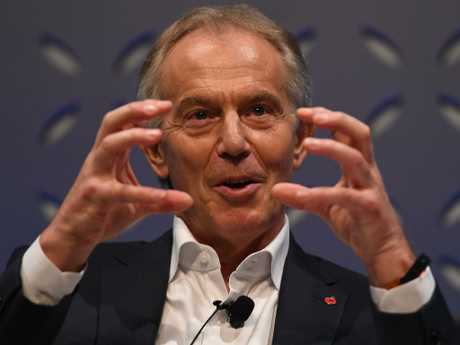 Mr Blair drew laughter from the crowd when he said it was almost "impossible" to predict what he was going to do next. But the experienced political operator offered a warning to the Democrats. "I think sometimes he will try and work with the Democrats and trap them into an argument if they are not going to work with him and the other thing he could do - I have seen this with other American presidents - is if you lose the House at the midterms, and it can block your legislation, the advantage is that you can play off that." If the Democrats blocked too much legislation, Mr Trump could simply turn to the electorate and accuse them of being wreckers. "You could say to the constituents 'I want to do all of these things but they won't work with me.' So I think that poses a challenge for the Democrats." The danger for them was a politics-weary public thinking they were just "going after Trump". They would have to pursue his policies and be willing to engage with him if he made them "a reasonable offer". "This is where the politics is going to get quite tricky. If you think back to 2016 election and the first months of the Trump presidency, it seemed like it all might fall over … and it hasn't collapsed. It will require smart politics." Mr Blair said the Democrats would have to think "very carefully" about their 2020 strategies, policies - and their candidate. "What this shows is they can't take it for granted." 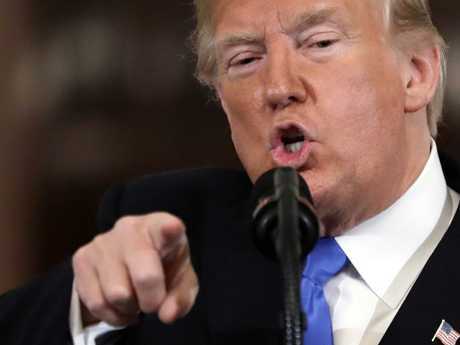 The three-time general election winner said the results of yesterday's midterms were going to prove a problem for Mr Trump. "Because a change in Congress means they are going to have the ability to investigate, to inquire, to come after him, and after his people." But the results suggested trouble lay ahead for the Democrats - both due to their natural inclination to block the passage of legislation in the House of Representatives and because of the relatively strong Republican performance. "I think if I was the Democrats this morning I would be doing some head-scratching … if you look at previous presidents' midterms, like Bill Clinton in 1994 and Barack Obama in 2010 … it's not actually that bad a result for Donald Trump." Mr Blair thought voters were "settling into" the Trump presidency and appeared to be able to separate the "what you could call 'stuff' around the presidency and Donald Trump the tweeter" and the US Government's policies. "I think when it comes to 2020, the race is up in the air. And when you think about even a year ago, lots of people would have thought surely this is a one-term president." 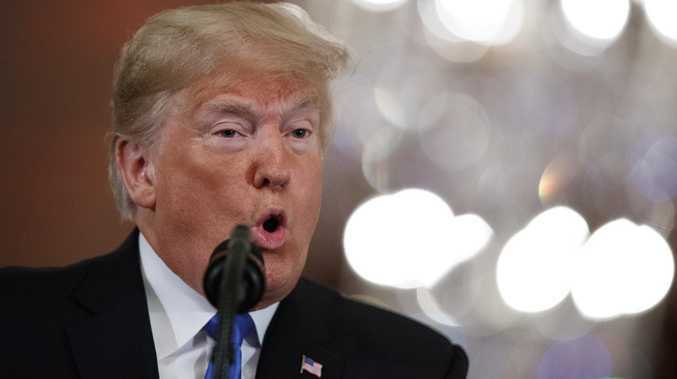 Asked whether the vote could be seen as referendum on Mr Trump, he said it was hard to escape that view when the President dominated US politics to such an extent. He was loved and loathed in equal measure, so whether Mr Trump could secure a second term rested with the independents in the middle - and how many of them could be moved back to the Democrats. "Where might they move? And from those results last night, they are split. It's not really clear and if you look at them … and what it means for 2020, it's far from certain." One thing was certain though - the surge of populism from the right was far from over. "Donald Trump is such a divisive figure that it is hard to have a rational debate about the policies … the divisiveness I'm America is profound and what last night's result shows is it's not resolved for sure one way or the other."